Ian Quinn's day begins with an anonymous death threat, but that's not entirely unusual in his line of work as a court-ordered child protection officer. The frustrated parents of his clients often need someone to lash out at -- and Ian makes sure that he is the easiest target. But the threat is nothing compared to the envelope stuffed into his hand by a foul-smelling vagrant who mutters the cryptic message, "He says he's sorry" before scurrying away. The envelope with his name scrawled across the front contains a lone visitor's pass to the Oregon State Penitentiary, and the accompanying message fills Ian's heart with both terror and revulsion. The author of the note destroyed Ian's life. In the blink of an eye, this drunk-driving scum took the most precious thing in Ian's life. 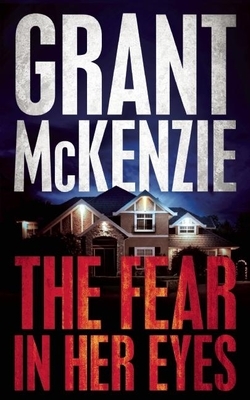 Grant McKenzie is the internationally published author of four edge-of-your-seat thrillers, plus an ongoing mystery series set in San Francisco. Under the pen name M. C. Grant he writes the Dixie Flynn series that began with Angel With a Bullet, continued with Devil With a Gun, and returns with Baby With a Bomb. His short story "Underbelly" appeared in the First Thrills anthology edited by Lee Child from Tor/Forge. As a journalist, Grant has worked in virtually every area of the newspaper business, from the late-night "dead body beat" at a feisty daily tabloid to senior copy/design editor at two of Canada's largest broadsheets and editor in chief of Monday magazine. He lives in Victoria, British Columbia.